The Aer Lingus Apprentice Scheme is a 4 years & run in conjunction with SOLAS in Shannon & TUD in Dublin. Aer Lingus has launched its annual Aircraft Maintenance & Engineering Apprentice Scheme and is calling on motivated, enthusiastic, and technically minded candidates to apply for the 4-year programme. At the end of the scheme, the aim is for apprentices to be fully qualified aircraft engineers and continue to work at Aer Lingus. Aer Lingus, which has a proud and long history of apprenticeships, is offering 10 placements on the scheme this year. There is a particular emphasis this year in attracting female applicants and building on the number of female apprentices at the airline. Thirty percent of the successful applicants last year were female. Women now make up 48 percent of all employees at Aer Lingus, and the airline has reiterated its commitment to supporting female talent across the airline. The Aircraft Maintenance & Engineering Apprentice Scheme is a 4-year programme run in conjunction with both SOLAS, based in Shannon, and with Technological University Dublin. It consists of 7 phases and through each phase successful applicants will move between classroom training in either of the two facilities and on the job training at the Aer Lingus Maintenance and Engineering Hangar at Dublin Airport. Apprentices will be working primarily on line maintenance and will be focused on delivery of Aer Lingus’ guest experience. The launch of this year’s scheme comes at a pivotal time for the airline as it continues to progress its ambitious growth strategy. 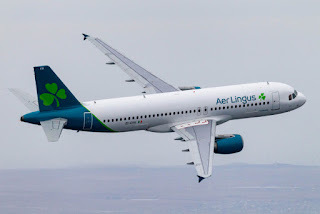 In January it revealed a contemporary, refreshed Aer Lingus brand and the airline has the ambition to become the leading value carrier across the North Atlantic, with new aircraft and new routes. This summer it will launch its new service from Dublin to Minneapolis–Saint Paul. The investment in people, including the Aircraft Maintenance & Engineering Apprentice Scheme, will help underpin this growth strategy.